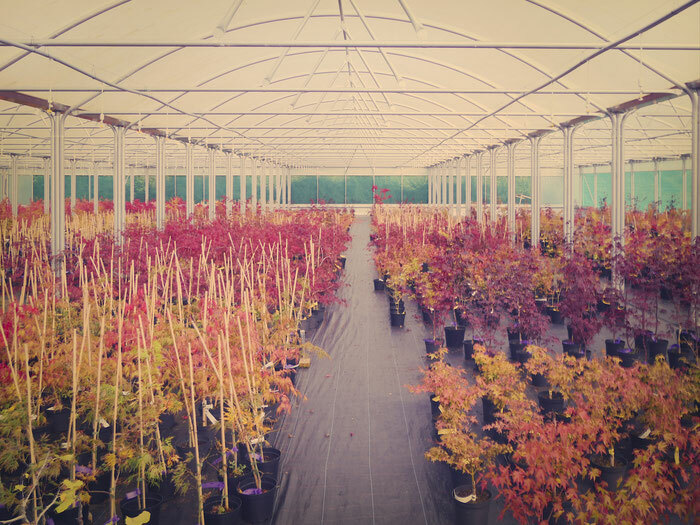 We grow a range of approximately 95x Acer palmatum cultivar's. We sell mainly in 3Ltr pots which is a great retail size for garden centres. Our 3L acer are approximately 3-4 years old, well rooted and between 50-90cm depending on sort. 100-120cm height. Ideal for a garden designer. 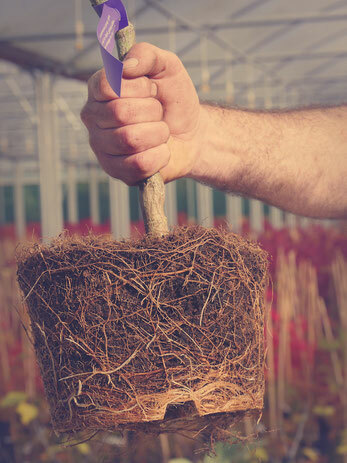 Our plants are grown naturally with Effective Micro-organisms. Our potting soil is mixed ourselves using a peat-free base and adding slow release Ostrea seashell lime, Bokashi bran, Grow-Best Organic fertiliser, Edasil clay minerals and Vulkamin basalt mix. We add Actiferm microbial inoculant to the watering system about 3 times a year. This keeps the ‘Life’ in the soil topped up and contributes in boosting the plants active immune resistance against disease. Our plants have strong root systems and we aim to offer all our Acer Palmatum in 3Ltr, 5 Ltr or 10Ltr containers. 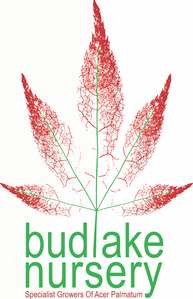 We have never had mildew or red spider mite and believe that the EM technology helps protect the plants. We wholesale our plants to garden centres and garden landscapers. You are welcome to visit our nursery at Ebear Farm. Just let us know beforehand when you are arriving to make sure someone is here to help you.